We are your neighbors, we exist side by side, across time and space. We have watched you for many eons, excited by your growth, dismayed by the infestation. We, like others, have intervened at primary points, gifting humanity with science, philosophy and tools. We have stepped back from the shadows, we have allowed the duality of the lower realms to play out, as they did for us many, many eons ago. 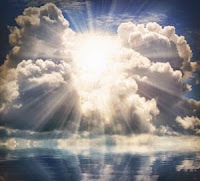 We received guidance and support through our transition, we were blessed by ascended beings, as you call them, connecting with us and illuminating the way. We did not have the problems humanity on planet earth have. We were aware of violence, we understood the craving for power other species make their life’s purpose, but we are a peaceful species. Our evolution was gentle, gradual, illumination came to us in times of peace and prosperity, technological leaps and esoteric transformation. We know the darkness humanity is facing, we know from experiences in other lifeforms, choices we made consciously, reincarnating from a stable environment. Few of us have experienced the levels of lower realm destruction that all of earth’s humanity exist in. We empathize, we are deeply humbled by the strength and creative passions of humanity. As earth’s guardians, her neighbors in time and space, we have agreed with others, to intervene. The goddess Gaia has chosen this time to transcend, to liberate her organic body, planet earth. The Black Plague has caused enough suffering, damage and destruction. Human sovereignty has been deemed compromised, lines have been crossed. We have all come together, to be here at this time, to facilitate, to aid and guide humanity through her ascent. Despite hope for a holistic ascension, separation becomes apparent. The tipping point has been reached, enough to enable ascent for some, not enough for others. This has caused the separation. 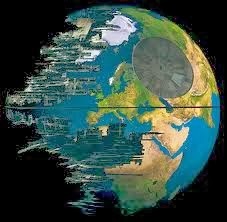 Dimensional frequencies now vibrate with alternate earths, humanity has passed the crossroads. Full separation has not occurred yet. The fabric we see is multi dimensional, trans dimensional, a quantum dynamic of parallel worlds. Our frequencies are of what you refer to as fifth dimensional or higher. We can see shadows, dark vacuums of energies, nests buried deep, a labyrinth of tunnels, caverns and transport underground linking up the dark web of deceit. We can see it, yet we cannot interact with it. The vibration is too low. 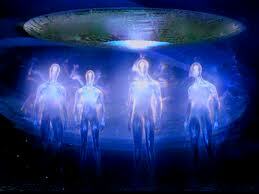 You, the warriors of light, the volunteers from different races, species, galaxies, are bridging the realities. We ask you repeat the mantra "I anchor my light to Gaia’s grid, connected at all times to universal love frequencies" daily, for this is your role during the shift. We understand humanity is waking up, that the evildoers have gone into high alert, bombarding you with chaos. We ask that you retain the vision imparted to you before you reincarnated. We ask that you reach out to guides and higher self to help you stay protected and on your highest path. We ask that you trust the bigger picture, remember why you are there and fight the onslaught of negative energies being pumped into your atmosphere. As the awakening release fear, the parasites step up their brainwashing programs. Dark arts have been used on humanity, waking up means breaking the spells. Glitching the programs from the inside out. We would like to impart information about warriors of Gaia. We believe this will help stabilize those overwhelmed by the transmutation of fear being released across the planet. There are some, missionaries of light, who have followed the darkness that consumes humanity on planet earth. Theirs is a mission spanning lifetimes and lifeforms. Ascended beings you may call them, warriors, the Anunaki’s nemeses, their hearts burn with the restoration of justice, freedom and peace. Warriors of Gaia, Lightworkers, beings who have chosen to incarnate on Gaia repeatedly with the sole intention of bringing light to darkness. Many are invested in humans, bloodlines have been created, ancestral wisdom and karma accrued. We believe you would describe these Lightworkers as old souls, connected to the land, to the heartbeat of planet earth. They have been medicine women, shamans, healers, prophets in their many lifetimes as human. They have been persecuted, cursed, tortured and assassinated, yet they still return, managing their karma, to spread love and light. They bring unique knowledge and wisdom to Gaia’s ascension, their insight into humans enables many to connect and heal. They are true warriors of Gaia and humanity. We hear you talk of the Rainbow children, Indigos and Crystal children. Beings of light incarnating in human form is very risky for they have no need of organic bodies, language or tools where they come from. They are ethereal, creative beings. Complications in engaging and interacting with the matrix machine have left many vulnerable. Aware of the risk the rainbow children are here in mind, body and soul. The prophesy of the rainbow children assisting Gaia in her ascension is very old and widespread. We, the Andromedans, accept the mystery around the rainbow children, we see them as rays of pure light, cased in organic matter. Some will survive, others will not. This is not a problem for the rainbow children, for this was always their destiny. They accept the risks, the dangers of the material plane in love and light, for they are of the light. Their presence is all that is required, their vibratory signatures so high as to disrupt matrix machinery. The souls that must be saved are children and it is divinely right that children be part of their liberation. Early Indigos have survived, every day more arrive. Their creativity ignites the creative in others. Their differences challenge the system, level the playing field in some ways. We are in awe of the mysticism and magic the rainbow children have brought to Gaia’s ascension. Volunteers are the backbone of the ground level transformation. We have a number of Andromedans on planet earth incarnated as human, just as most of the higher realms races around us have. When the call when out it had been anticipated. Many had studied the prophesies, we understood how profound this transition would be. When we looked closer at the activities, the weaponry, the mind control and enslavement we were distraught, as you would say. As were others. The fourth realm predators have a deep hold on humanity in the third dimension, its dark web has infiltrated the very fabric of your existence. Molecular manipulations have occurred, genetic modifications without consent. Whilst duality must exist in lower realms, when we saw how many souls were trapped in the third and fourth realms we understood better Gaia’s choice. An Andromedan lifespan is about 900 human years. We have had time to consciously plan our involvement, our guidance and support. We are part of a far greater concerted effort to liberate souls on Gaia. Our volunteers reincarnated at specific times, carefully chosen places, to maximize chances of higher vibratory influence. Individual soul contracts were also made, karmic release is magnified during the ascension process. These are brave souls, our friends, our family. Andromedans are a large, varied species, we inhabit several planets in our galaxy and travel to others. We have quantum technology allowing us to expand our collective consciousness far beyond the reaches of our present space in time. There are beings closer to planet earth, whose lives have intertwined with humanity for thousands of earth years. They too have volunteers incarnated as human during this prophesied time. 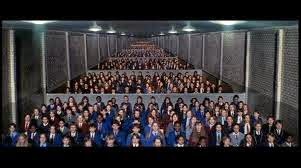 To operate within the matrix convincingly all had to agree to amnesia of past lives, knowledge and sensory skills. To varying degrees memories, abilities and recognition of a mission remained. Using quantum technologies we have been able to trigger activations in human DNA. 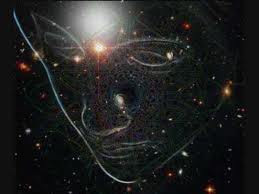 These activations should have occurred organically, as it was with us and many other known species in the multi verse. DNA evolution has been actively prevented using technology, dark arts and chemicals. Earth does appear to be the devil’s playground, as your prophets warned. There are angels walking earth, disguised as humans, seeking to heal traumatized souls. Volunteers, indigo and crystal children, ancient warriors of Gaia operating on the earth’s surface, spreading love frequencies like a virus through the holographic matrix. We can see this from above and understand those on the ground are seeing it from below. Recognize the fear you are experiencing is the release of fear from a global population held against its will, prevented from organic evolution. When anxiety overwhelms, and we can see it is for many of our beloved travelers, know it is not simply your anxiety. You are transmuting mountains of fear held in the core of humanities collective consciousness. Fear of an enemy they cannot see. Every human knows there is an enemy within. They see it as children, the system has them brainwashed by adulthood, obedient, caged spiritually, caught in a dark web. The fear is real. The anxiety is real. The tension is real. Recognize it is in the air, in the atmosphere, being released on dimensional frequencies that pulsate through your perceptions of reality. The fourth realm must go through the same as the third, awakening, recognition and release. Phase 3 has commenced. There will be regular updates transmitted to those who can hear and share. Go where your energy resonates, especially on the cyber web, truth spreads vaccinating the darkness. Know you are surrounded by loving beings, protecting and guiding you. We are not here to talk of sky wars, frequency wars or chemical wars. We acknowledge all of this continues around you. We are not through yet. We ask you stay connected to light, anchored to Gaia’s grid at all times. We ask you remain in love vibration despite the anxiety and fear, by recognizing it is not all yours. The atmosphere is weighed down with these heavy vibrations, they must be loosened, shaken free, dispersed to divine light. The mission is to transmute whilst remaining stable in your own light. We recognize how difficult this is. We hope we have offered reassurance, love and light to those who resonate with our words. We are with you physically and spiritually. No one will be forgotten. All are recognized by their own tribes, protected and healed every Earth day. Breathe in the Light Warriors of Gaia, for you are inspiring many who watch from the sidelines. 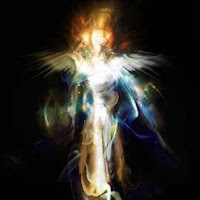 Your lives on Gaia will be remembered by all who have witnessed her ascension to higher realms of light. We are the Andromedans, your neighbors, cosmic friends, as you would say. We are with you, humans of Gaia. We are sharing our light, wisdom and love with warriors of light and love. The new earth is being created by you. We bow to your courage, we are humbled by your fearlessness and we cloak you in our Light.